WHAT WILL PROBABLY COME AFTER THE ESTABLISHMENT TABLOID LIKE PRESS? The historical tabloid press was and still is a sensationalized form of current events information replete with seemingly unbelievable statements, events, and deceptive pronouncements designed to impulsively promote a buying gullible customer who wants their emotions titillated. Today the establishment media is following in the footsteps of the tabloids and becoming more sensational and raunchier by the month. Investigative reporting and a factual reporting of current events is becoming a dying art and is being largely replaced by blatant biased opinions and editorials often accented with insults, put downs, name calling, humiliation, and ridicule of humans with opposing opinions. Brief sometimes shocking sound bites and talking heads repeating their communal ideology is dominant in the mass media today and their listeners and viewers are decreasing in number as each human retreats into their isolated social media, cellphone world. How long will this form of unprincipled malicious verbal combat and censorship be tolerated? Since news is increasingly a popularity contest with viewer statistics having a dominant influence, the answer is that abusive verbal combat will last as long as the public does not become bored stiff with the crappy repetitious disinformation or propaganda being published and broadcast. 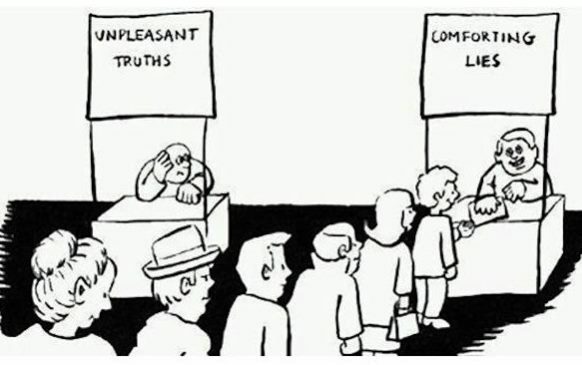 The masses have always been partial to comforting lies rather than the truth so hoping that comforting lies will diminish in the future is highly unlikely. It seems that the artificial intelligence bots are becoming more intelligent than even human debaters so I see salvation in censorship by media software bots who will eventually tell humans what to say and eventually what to think. Of course the humans in control of these bots will ultimately determine the information inputted into the information processing system so some form of censoring ideology will have to exist and it will be human determined to some extent. If you input trashy information into a software program then your output will also be trashy information so some reliable human or computer algorithm is necessary to exclude the unreliable garbage information from being inputted. To regain and maintain some degree of trust in the reporting of news, important questions to ask and answer are- How factual is the information? How trustworthy is the author or source of the information? Has the trustworthiness lasted many years? What is the goal of the article? What are the reputable sources and information which seems to back up the purpose or goal of the article or presentation? Will this information be promoted via podcast, video, or written format and where will it appear? Note: the objective purpose of any communication should be to promote the truth about factual information but the reality is that ideology often plays a dominant role in the communication and reality is often misrepresented to fit a politically correct mold. Effective useful communication means that the facts are truthful and the communicator is trusted as somewhat of an expert in his or her field of expertise. An alternative media with anti monopolistic information censorship and ideology has arisen and is doing rather well but it will probably never become what used to be the establishment media and widely respected by the average human. Once trust in the establishment media is lost it is almost an impossible task to get it back any time soon. It takes more aggressive searching to find and use alternative media but thankfully it is still there and surviving if not thriving. As long as someone is permitted to exercise moral free speech on the internet and present opposing views in a civilized manner, I see no great need to panic and believe that all media is just going to become and stay a biased cesspool of censored unprincipled politics, news, and general information. The European Union is already censoring free alternative media so please support free alternative media with your money because the same fate may befall the United States alternative media in the not too distant future. Some sense of order will probably arise out of the current chaos so promote with your money all the sources which you feel are as truthful as is reasonably possible. Bots can also be stupid or malicious and try to trap you in an isolated echo chamber of information which you like rather than also expose you to information which you should know about to be truly informed. Media bots whose main purpose is to make money try to keep you satisfied with the world which you like or agree with so historical brainwashing by bots this time will continue into the foreseeable future. Artificial intelligence is becoming smarter than the average human so bots will rule the media of the future to a very large extent. This entry was posted in common sense and tagged alternative media, artificial intelligence, bias, bots, brainwashing, common sense, establishment media, propaganda, sensationalism, tabloids on July 4, 2018 by uldissprogis. BIG MONEY IS PROBABLY WHY RESTORING TRUST IN JOURNALISM IS IMPOSSIBLE!!! Ann Curry makes a plea for a return to truthful journalism in an era of big money corporate control over the establishment media and internet. Establishment media is incredibly biased and opinionated and often uses dubious statistical results and opinion polls to back up their propaganda which has existed for years and is mostly left wing biased. Advertising revenue and viewing statistics largely determine what is presented to the public and the ultimate result is that the information keeps you ignorant and uninformed on facts but is rich in politically correct ideology. To put it bluntly, most media is no longer trusted and restoring that trust will have to take many years of truthful reporting or the establishment media will never be trusted again. The only way to restore credible journalism is to support credible internet media with your monetary donations or subscriptions and promote alternate truthful media or websites with tens of thousands of subscribers. The truth is not popular and is either right or wrong and if you pursue it then you will probably soon begin to call yourself an independent who agrees with the truth that the left and right have to offer or the best truth that the conservative and liberal have to offer. This entry was posted in common sense and tagged bias, common sense, corporations, establishment media, internet, journalism, propaganda, truth on June 23, 2018 by uldissprogis. UPDATED NEW QUOTE BY ULDIS SPROGIS 815!!! This entry was posted in common sense and tagged bias, brainwashing, common sense, cultural, emotion, human nature, quotes, reason, relationships, truth, wisdom, wise sayings on October 10, 2016 by uldissprogis. Hispanics are alcoholics, women are carers, and cities are industrial wastelands are stereotypes which don’t give an accurate complete description of many Hispanics, women, and cities. They are stereotypes or broad generalizations which are not accurate in many individual instances. Name calling is also a form of stereotyping and if you call someone stupid, crazy, or incompetent they may in fact only do some stupid, crazy, and incompetent things but labeling them as being compulsive about it is wrong and a stereotype. Beliefs in stereotypes, especially of ethnic groups, is also the foundation of prejudice and once you strongly believe in a stereotype it is very hard to change that belief because you have developed an emotional attachment to it and don’t want to or aren’t smart enough to change it. Stereotypes are popular because they create a simplistic view of the world which doesn’t require much logical thinking. 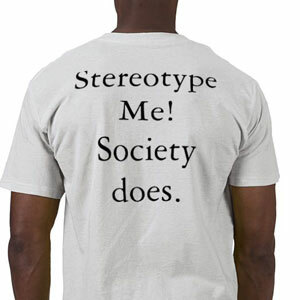 Unfortunately stereotypes will handicap a human who uses too many of them and he or she will frequently be thought of as not very smart or even prejudiced if the stereotypes are unflattering generalities of humans and things. Historically all my black tenants have been bad tenants but I have also had many bad white tenants and the real reason that they are bad tenants is because all of them have been poor financially with lousy jobs. I have learned not to stereotype humans based on race but I have learned to stereotype them based on income. If a tenant is poor financially then the probabability that they will be a bad tenant is close to 100%. I have learned the hard way through the school of hard knocks that money is more important than race and I always ask and confirm monthly income, time on the job, and rental history. This entry was posted in common sense, education, science, society and tagged bias, common sense, education, falsehoods, generalities, science, society, stereotypes, the truth about stereotypes, truth on April 24, 2014 by uldissprogis.